Kitchen Experiments: Brown Rice Blues – The Small Things. It is a well known fact that cooking isn’t a strong suit. Sometimes I can follow a recipe and have pretty decent results. It never looks as pretty as the picture but the taste usually works out. Other times I can take a perfectly simple recipe and still find a way to mess it up. Usually this happens when I get too confident and start to improvise, like the time I attempted guacamole… Or the time I tried to make egg in a whole using a stack of bread with holes ripped out of the middle instead of using a bagel… Or the other day when I made a large batch of brown rice. I know it seems like an impossible feat but don’t be so sure, my friends. I managed to screw up the worlds easiest recipe. Let me share my sad pathetic tale so that you all may learn from my mistake. Lets start with the instructions shall we? Bring rice and liquid to a boil. Reduce heat to low and simmer, covered, until tender and most of the liquid has been absorbed, 40-50 minutes. Two simple instructions. That’s all there is to it. I was making a large batch because I am attempting to eat healthier meals and that means planning ahead. 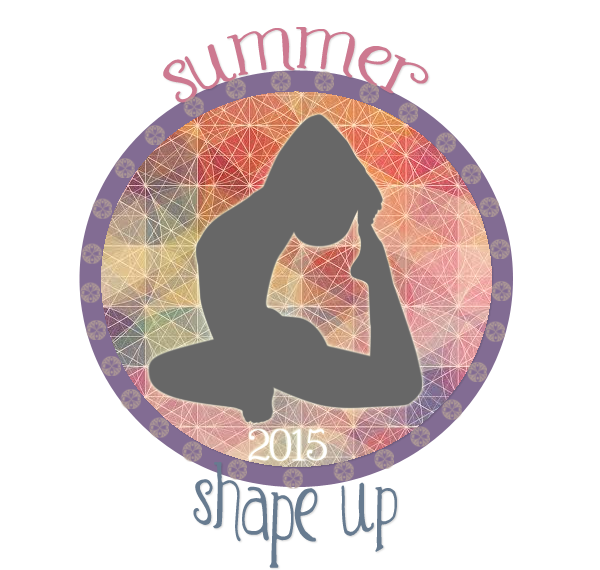 I’m participating in The Fitnessista’s Summer Shape Up Challenge. This is a challenge that Gina holds twice a year for free on her blog. She provides multiple clean eating recipe suggestions and a weekly workout schedule, more on this later. A lot of the recipes call for quinoa as a side or as a salad topping. But I’ll be honest I’m not a huge quinoa fan so I decided to sub in brown rice. It’s not as healthy but I mean its better than white rice, am I right?! …YOWZA that is some very SALTY rice! Way to go me! How did this happen?! I did NOT put that much salt in the water! Then it hit me, the broth was ALSO salted. So by using both my end result was very, very salty. Like ocean level salty. The good news: The rice is still edible as long as there is something mixed in. Yesterday I had a veggie and rice bowl for lunch with avocado, red pepper, cucumber, spinach and chic peas with a lime balsamic dressing. Once mixed together the saltyness (it’s a word now..) of the rice was hardly noticeable. And today I had salmon and rice with a salad, once again after it was all mixed up, delicious, but I had a couple rice only spoonfuls and they were strong. In the future I’m just gonna stick with good ol’ water. Lesson learned. Have you ever messed up a super easy recipe? Share in the comments! ← I Love Live Music! lol! I once messed up Mac-N-Cheese! My bf won’t let me forget that. Nor will he let me cook anymore…. Ah I have done that too! Luckily I was the only one eating it I was able to just toss it away with no one the wiser. Lucas tries to let me cook but then his chef training kicks in and instead of teaching me, he just does it for me… Which is fine by me because his cooking is unreal delicious! I usually mess up most things I cook! I get so disappointed as I try so hard but it is usually a failure! At least my partner can cook and my kids will not go hungry! Thank goodness for partners who cook, eh! Lucas went to culinary school and therefor has mad kitchen skills. I’ll be living on my own next year though so I better figure it out soon! Thanks Ray. That is great advice! I’ll do that next week when I make my next batch. Brown rice does have a tendency to be on the hard side. I generally like a touch of salt on my food but in some cases you can, in fact, have too much of a good thing. You’re welcome. Mom-in-law advice. 🙂 We generally add a bunch of herbs and flavor the rice that way. I’ll need to start doing that. Especially since I am trying to be healthier. I suppose salt or sodium rather is right up there on the not so good for you list. Sounds fancy! I don’t think my cooking skills are at DIY broth making level just yet but if I ever attempt it I will most definitely share on the blog. For now I think I’ll look for a store bough broth that has less sodium. Nah. You take the chicken bones, add diced carrots, onion and celery, cover with water, bring to a boil, turn down the heat and let simmer for about 45 minutes covered. Let it cool, pour through a colander and you’re done. Hummm that does sound doable actually. Alright! It’s on my list of kitchen experiments to attempt! I’ll be sure to let you know how it goes!